You might be amazing at nails and beauty, but just don’t have the time to master marketing! Are YOU missing a trick? Turn your social media posts into sales. No business is complete with out a logo, and if you want your customers and clients to find you, you need to make your mark today. 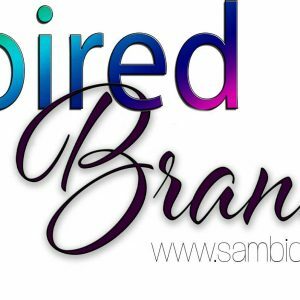 Create a logo which is memorable, interesting and tells your story at a glance. I can offer you a personal service, which is quick, inexpensive and turns your ideas into something you can use on your social media posts and in your business. A logo is your shop window, it will tell someone just what you’re capable of, how creative and colorful you are, what type of salon they can expect to visit, and just how much pride you put into your business. 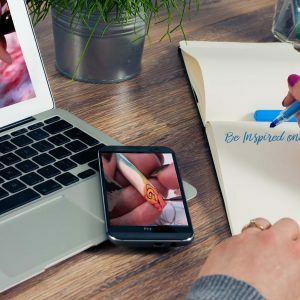 You see every time you post a picture of your nails, every time your page on Facebook is viewed, it is an opportunity to leave your mark on the brain of a new client and potential loyal customer. You see every time you post a picture of your nails, every time your page on Facebook is viewed, it is an opportunity to leave your mark and attract a new client and potential loyal customer. I have noticed a lot of nail technicians on social media not utilizing their branding, and some don’t even have a logo! gasp shock horror – is this you? Branding is important to raise your profile and get noticed online. Why? because having a logo creates a visual symbol that represents your business and identifies you to your customers. Having a point of reference on your images or business pages which is followed through in with your stationery and website, delivers a professional and polished finish. In other words, it means they will know that you have continuity in your branding and will feel you will offer continuity with your service. There is another important factor to consider, they will be able to find you with just one glance and remember you. Having a logo is not just about having your website address or name across your photo’s, your logo is a reflection of your business and character, and that is where I come in. With over 16 years in the nail and beauty industry, I understand just what makes a good logo for professional nail techs and beauty therapists. But way back then, before I became a nail technician, I used to work in marketing and studied Graphic design, yep you heard there was life before nails. This makes me the perfect person to design your logo, and get your branding on track. If you’re reading this and not a nail or beauty professional, I am all yours too. I have designed logos for artists, crafters, therapists and all creative’s. It really is quite simple, if you’re looking for a logo and help with branding, coming up with a name for your business, and even graphics then it is just a 3 step process. Decide on the type of logo you want, font only or with a Graphic. Click the button below and pay your deposit. Check your inbox and fill out the booking form. There are three different options available to you, but you only need to pay the deposit to start. Once I receive your booking form I will be able to quote a price for your new logo. I will send over a couple of screen shots of your new logo to see if I am on the right track, and when we have a final design your happy with, I will invoice you via PayPal for the balance of the service. This will be a pre arranged price before any work is carried out. Once this invoice has been paid, you will receive your new logo within 7 days. You will receive two file formats, a PNG file, which is a transparent file and allows you to place your logo over nail images and other photo’s for social media, and a jpeg. For £20 you will receive a text only logo, with no more than 2 different font types and 2 different colours. This is a basic logo design and a great starting point. This logo will not include fancy drop shadows and bevelled edges, which I suppose to you means nothing, but it is the difference between having a clear nail varnish or a chrome effect. This is the most popular option and a starting point. Most people want some kind of image or graphic that represents their style, like a butterfly, fairy, flower or flamingo… this can be anything, so don’t hold back. You will be paying for the cost of the stock image and any editing required to place it in your design. The editing is restricted to the cost. Fancy something a little extra, need me to use my fancy art and digital manipulation skills to create glitter and sparkles, wrap around swirls and tie in your graphic to your words in a very clever and cunning way, then this is the option for you. but don’t worry, we will start with the basic’s and I will quote you if you are tempted with a little extra visual topping. So now you know the pricing, you are pretty much set to hit that GREEN button. Pay your deposit and watch out for the booking form in your inbox. Once I have all your details I will start work on your Oh so fabulous Logo. yep, I want an oh so fabulous logo! So make your mark today! let me help you design a logo that sells. Reasons why you need a logo! A logo is a combination of text and imagery that tells your customer the name of your business and gives them a visual symbol that represents the character of your business. They should be able to get a glimpse of your flair and professionalism in that one small logo. Your logo will do a lot of things and is an underestimated resource. You see a logo will build trust, your customers are more likely to do business with you if you have a well-designed logo. If your logo looks like it was designed in Microsoft Word, people will question how well you are able to deliver your services. Your logo should be used for social media, websites, business cards, letterheads, pull up banners, vehicles, shop signage, product packaging, adverts just to name a few, it is it important to make sure it delivers the message so make sure your brand is memorable. To look “bigger” and “established.” Home-printed business cards or cards printed with Microsoft clipart scream “small-time vendor” to your potential clients — and that is how they will want to pay you. To brand yourself. You need a logo in order to build an image and a brand that is greater than your individual identity. To be more memorable. Forty percent of people better remember what they see than what they hear or read. So to have graphics associated with your business, and to keep those graphics consistent, makes you more likely to be at the forefront of potential clients’ minds when they need your goods or services. click me to get a logo! check out what these nail techs have said about their logo.